Magnesium is the second most prevalent electrolyte in the body and it is possible that athletic populations may develop magnesium deficiencies, due to the increased physical stress of exercise resulting in elevated sweat and urine magnesium loss. With the consequences of deficiencies being increased blood pressure and reduced glycogen tolerance. Magnesium plays a role in bone formation and maintaining normal levels of magnesium in the body, through diet or supplementation, can increase bone mineral density. In relation to exercise performance, one of the important functions of magnesium is its involvement in energy metabolism. With measured increases in aerobic exercise and muscle oxygenation being reported in a triathlete group supplementing with magnesium. 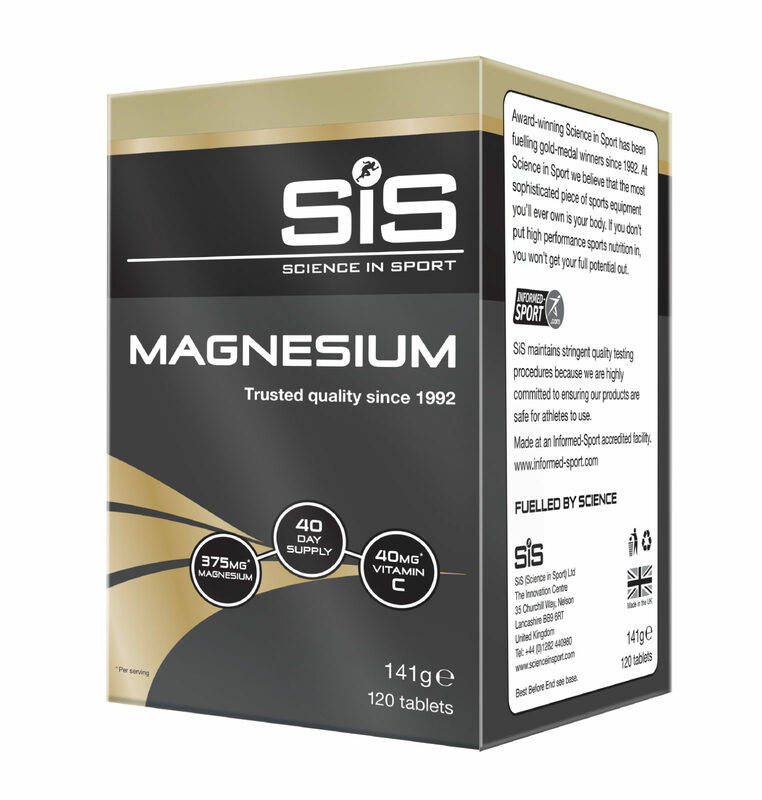 The Science in Sport Magnesium complex has been formulated alongside Team Sky to support both athlete health and exercise performance. Magnesium plays a role in bone formation and maintaining normal levels of magnesium in the body, through diet or supplementation, can increase bone mineral density. In relation to exercise performance, one of the important functions of magnesium is its involvement in energy metabolism. With measured increases in aerobic exercise and muscle oxygenation being reported in a triathlete group supplementing with magnesium. SiS Magnesium is tested under the Informed Sport Certification program. This approach involves testing every single batch of SIS finished product, which leaves the Company’s factory, screened against the 2018 World Anti-Doping Agency (WADA) list.